Wow. This is certainly a busy weekend for local history and arts enthusiasts (and for those who aren’t). 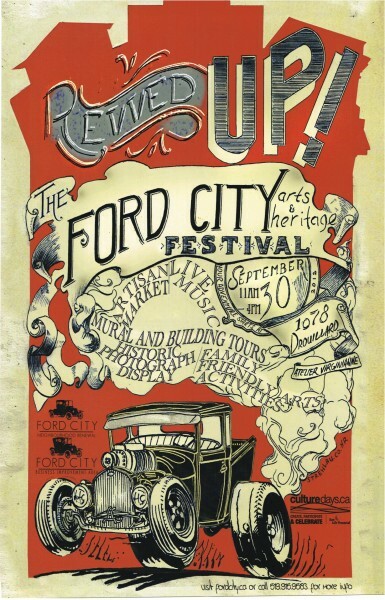 Doors Open, Walkerville Rocks, Ford City Arts & Heritage Festival, Windsor Essex Open Studio tour – are on the agenda as part of Culture Days (Sept. 28 to the 30th), plus the grand opening of the Windsor Symphony in the gorgeous Capitol Theatre on Friday night. To top it off, the Windsor Fall Home Show has been thrown in for good measure. Little do the patrons of a local hair salon know they are being pampered in a building that was once the site of a real-life cops-and-robbers drama. June 9, 1959 was an unforgettable day to anyone in or near the Bank of Montreal at Chilver and Wyandotte in Olde Walkerville. 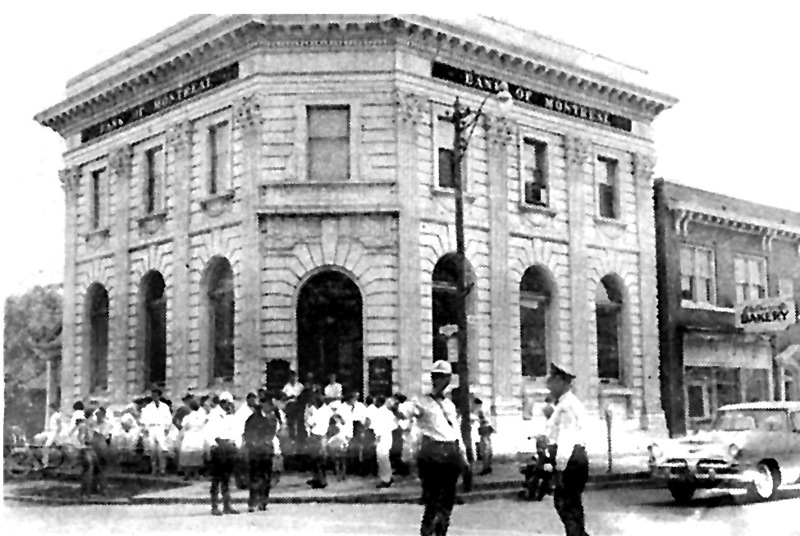 Two men, Nicholas Hamilton (alias McCormick) of Vancouver and Kenneth Irwin of Toronto, wearing white jackets, hoods, and sunglasses, entered the bank that afternoon, armed and ready to get their black-gloved hands on some easy cash. Adele Pare, a local housewife, was making a withdrawal when one of the men thrust a gun into her back and grabbed her, exclaiming, “This is a stickup. Do as we say or you’ll get it, and we mean it.” The men forced her and another customer into a corner of the vault along with the bank’s 15 employees. The chief clerk, Norman Wingrover, tripped the alarm along the way. The three female tellers were robbed of a total of $10,733 before the pair attempted to make their getaway. Instead, Pickup lunged for the robber, Nicholas Hamilton, throwing him over his shoulder onto the sidewalk and kneeling on him to hold him down until the other officers arrived. Unfortunately, he was unable to see inside the bank, and assumed that the man he was holding captive had been working alone. That mistake could have cost him his life. To read the rest of this story click here walkervilletimes.com. This entry was posted in People, Walkerville, Windsor Now, Windsor Then and tagged art, artists, Culture Days, Ford City, history, Mark Bradac, Pawnathon Canada, studios, Walkerville, Walkerville Rocks. Bookmark the permalink.